Memorials are suggested to one's favorite Racine County non-profit organization. Gabriella Sonja Klein, 79, died Monday, October 23, 2017, at Lakeshore Manor, of respiratory failure. Born in Chicago on April 11, 1938, daughter of Frank E. Vosicky and Sonja K. Becvar, she was married to Donald J. Klein, a 35-year friend, in 1993. She resided in Wisconsin most of her adult life. An honors graduate of Alverno College, Milwaukee, she was in the communication field for her entire professional career, initially as a weekly newspaper co-owner/editor and a daily newspaper reporter. She came to Racine in 1973 and was employed in corporate communication at J.I. Case. In 1983 she founded Communication Concepts Unlimited (CCU, Inc.), where she served as president until she retired and sold the business in 1998. More recently she was an associate with Signature Services Group, LLC of Milwaukee. 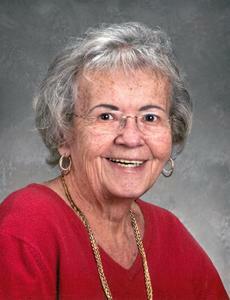 Mrs. Klein, who enjoyed mentoring others, was a dedicated community volunteer. Among her professional and community commendations were Woman of Distinction in Business, United Way Volunteer of the Year, Youth as Resources Youth Advocate, Wisconsin Women Entrepreneurs Entrepreneurial Spirit award, Leadership Racine Community Trustee, RAMAC Community Educator of the Year, the Girl Scouts Thanks Badges I and II and Alverno College Outstanding Alumna of the Year. Mrs. Klein is survived by her husband Donald; mother Sonja K. Becvar of Racine; sister Julia Swano of North Barrington, Ill; nephews Jeffrey Swano and Robert Jasenof of Oak Park, Ill; nieces Renee (Jim) Michaels of Lyons, Wis; and Candice (Dan) Becker of Overland Park, Kan; and other relatives and friends. She was preceded in death by her father Frank Vosicky. A Memorial Service will be held Sunday, October 29, 2017, 4:00 P.M. at the funeral home, the Rev. Dr. Tony Larsen officiating. Visitation will be Sunday at the funeral home from 1:00 P.M. until time of service at 4:00 P.M. Private burial will be held at the Bohemian National Cemetery, Caledonia. Memorials are suggested to one’s favorite Racine County non-profit organization. The family would like to thank Dr. Paul Durbin and the medical personnel at Lakeshore Manor Nursing Home and Ascension All Saints Hospital for their compassionate care and assistance during the past years.